Rodney Pelly is a 28-year Sedgwick County employee. He is a corrections worker at the juvenile detention facility, and has never called in sick. A corrections worker in Sedgwick County has a streak he hopes will last a little bit longer. Rodney Pelly has maintained a perfect work attendance record for 28 years. He’s the only current Sedgwick County employee to reach this milestone. “I’ve been blessed that I haven’t had the flu or anything real bad," Pelly says. "The worst I ever had, I think I had strep throat, but I was on vacation." Pelly works at Sedgwick County’s juvenile detention facility off South Hydraulic, south of downtown Wichita. It’s a 24-hour center for male and female offenders between the ages of 10 and 18 who are awaiting court hearings or placement into residential correctional facilities. He also worked at the Judge Riddel Boys Ranch, a residential juvenile offender program at Lake Afton, until it closed in 2014. Pelly is the kind of corrections worker who "gets" the kids he supervises. 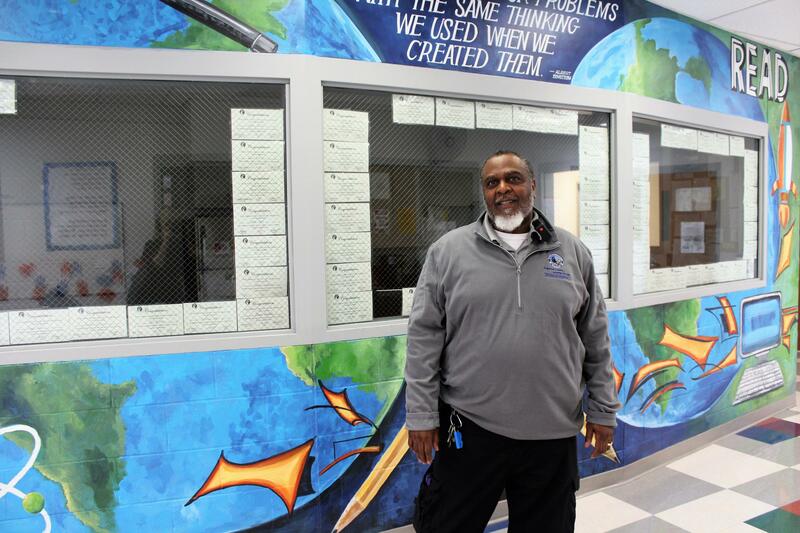 At 56, he’s one of the oldest on duty at the juvenile detention facility. Yet he’s able to connect with young offenders through his life experience. “Rodney is the type of employee who gains positive rapport with kids really quickly," says Pelly's boss, Steven Stonehouse, Sedgwick County’s deputy director of juvenile services. "So he's able to relate to them, and have them listen to him and have a good rapport with him really easily — almost effortlessly." Pelly grew up in East St. Louis, Illinois, in the 1970s, when the city faced an economic and social crisis. His neighborhood was overrun with youth street gangs. He witnessed teen violence and saw how fast a star high school athlete can end up in prison. “I give a lot of credit to some of the older gang members who didn't allow me to get in trouble. When they went to do something negative, they pushed us away," Pelly says. "I feel more blessed now about that when we look at it, me and my brothers, because I could have been caught up in a lot of things in East St. Louis at that time." What also saved Pelly from a life in crime were his parents and his athletic ability. He started track and field at 10 and went on to earn a spot on a college team. Pelly learned early that “showing up” brings success in sports, school, and work. He’s considered a consistent presence and role model for the kids at the juvenile detention facility. He uses the lessons he learned about dependability, accountability and working hard to inspire the kids. “I challenge them more mentally than physically because I know once anybody throws a punch, it’s over," he says. "But if you can get them to think, think, think, we usually get positive results." Pelly broke up a fight earlier in the day of a recent visit, and several teenage boys were placed on lockdown in their rooms for the rest of the day. “Any time a kid is in his room, I’m scared. I’m scared because it gives him that idle time to think about negative stuff. If we can get them to think about positive stuff, they usually really work with you,” Pelly says. The rest of the teens assigned to this dorm, five boys, were in the common area watching TV while they ate lunch. They were on a short break from their classes down the hall. Pelly made sure he praised the boys for staying out of the fight. “I want to thank you for everything you’ve done today, and I hope we continue being positive for the rest of your day and the rest of your shift," he tells the boys. "I’m quite sure I’ll see you tomorrow." Pelly has not missed a shift due to illness in 28 years working for Sedgwick County. The times he wasn’t feeling great — like when he had strep throat — happen to come on planned days off. He uses vacation days for a mental break from work and tries to schedule appointments and activities for when he’s off the clock. His sick time keeps accumulating. “Knowing I got it is a blessing, but if I don’t need it, it’s even more of a blessing,” Pelly says. 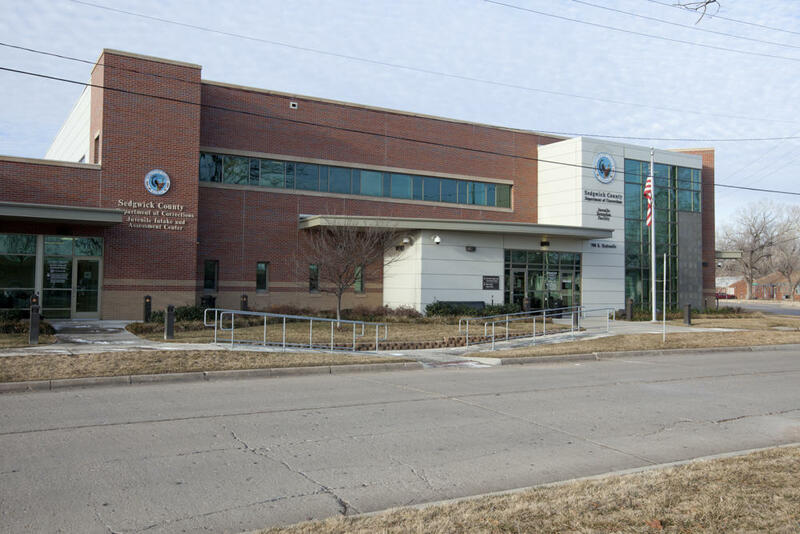 Sedgwick County currently employs 2,728 people to run its services and departments. County officials say Pelly is the only employee with a perfect work attendance record. A few employees with less than 20 years with the county have used less than a day of sick time. Pelly’s work ethic makes a difference in the high-turnover, juvenile corrections world. Steven Stonehouse, Pelly's boss, says unplanned leave is a big deal because facilities run 24-7 with three shifts to cover, and a state-mandated staff ratio. Running short on staffing is not an option. “Because whenever somebody is gone, then somebody else has to work extra," Stonehouse says. "So that doesn’t happen with Rodney. He’s usually the one filling in for someone else. Pelly shows off the classrooms within the juvenile detention facility. A cafeteria and gym are nearby along with several housing units. On this day, 54 kids were being held at the juvenile detention facility, and the majority were boys. Staff says the average length of stay in 2019 is 38 days — an increase of eight days from last year. Some kids remain for months because they are charged with serious crimes. The teen boys in one dorm described Pelly as a father figure who tries to encourage positive thinking. “Mr. Pelly has been a great [correctional officer] ever since I’ve been here," says a 17-year-old boy. "He’s a great man, and he helps us out a lot in a positive manner. He’s helping us get our education, and get out of here and stay on track." In addition to his detention shifts, Pelly also teaches anger management classes and is involved in a workplace anti-bullying program. Retirement is still at least six years away. “Every day I come here, it’s going to be something different, and I love that in this job and I love the challenge of knowing that," Pelly says. "Sometimes I feel the passion of coming to work is my co-workers who want to go home. They did their shift." When he was hired by Sedgwick County years ago, Pelly said he would do whatever it takes to make sure his position would never have to be filled again. So far, he’s lived up to that promise.